Less than a month ago my husband and I were feeling rather trampled at the mere thought of how much more we needed to come up with for Angelina’s adoption. Our fundraising energy had waxed, waned, sputtered, gurgled, and flopped into a sad little brown goo in the back of our minds, really more like lingering earwax too small to even melt down and shape into a candle that we could sell for a couple dollars to add to the bank account. Ya never know, earwax candles could be the next big thing. Step aside soy candles. A large pile of unsold tshirts, a constant reminder that not all fundraisers work out, did not help boost morale. But I had one idea left, one idea that freaked me out and made my insides go all queasy. I could do an online facebook fundraiser auction. Loads of adopting families do them. I know because I try to get gifts for birthdays and Christmas from these auctions and I’ve donated items to a few as well. But I only had a handful of items to offer. A friend of mine and fellow adoptive parent recommended asking Etsy sellers to donate an item. Gulp. I really don’t like asking for things. If you’ve read this blog you might snort a bit at that since it seems like I’m always asking for help for Angelina’s adoption, but you wandered over here of your own volition; you’ve read about my family and Angelina without me having to ask you. For all I know only my mom reads this blog. (Hi mom) But this was coming out of the blue to total strangers and smacking them with a concise and respectful request to donate their hardwork, expertise, and art to a total stranger. Etsy sellers work HARD and often have their Etsy shop as a second income, it’s not like they are rolling in cash wishing they could give it away. After I had gone through a couple weeks of mentally talking myself into it, I started sending Etsy sellers requests. I started with shops that I’ve frequented thinking that if I know I like the product, other people will too, right? After I contacted that list I began asking from shops that I’ve liked for years or ones that I recently stumbled across and instantly loved. The first 10 took about 5 hours of my mental and emotional time, the next 10 took a little less and then the next 50 seemed to fly by. The responses I received from these Etsy shops were all incredible, both from people who donated and those who were unable to donate but wanted to wish us the best and thanked me for thinking of them. Two women ended up being adoptive moms as well, one domestically and one internationally, and I had wonderful conversations with people who had been considering adoption and wanted to know more. As a special “thank you” to the people who donated I’m listing the etsy shops alphabetically with a quick blurb about what they offer. Please like their shops, share their sites, keep them in mind when you are doing your online shopping and support these generous souls. April Artistry just so happens to be first alphabetically but also first in my heart since it is by my talented graphic designer sister. I love to see how her lifelong doodling has blossomed into a sophisticated yet whimsical style all her own. In addition to opening up her entire shop for me to pick and choose what I wanted in the auction, she also created holidays cards specifically as a fundraiser for Angelina. Angelina has no idea she already has a fairy godmother working hard to bring her home. April you are the best! Backyard Ballistics – I did a happy dance when Jared from Backyard Ballistics donated a Bow and Arrow with Quiver set! 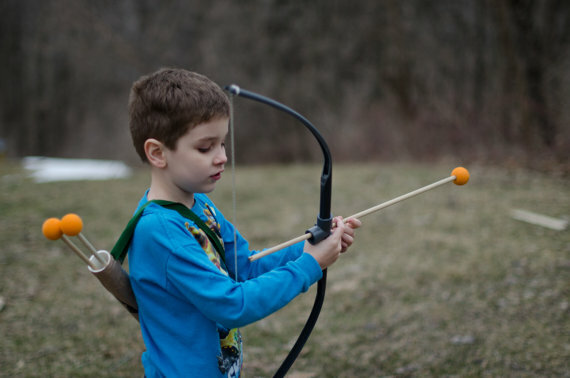 This seems like every kid’s dream toy, who doesn’t want to be Robin Hood or Merida? Did I mention an arrow can fly 75 feet!? The icing on top is that this set comes with an illustrated care and maintenance manual, details like that are what make Etsy sellers the best. Deep Midnight Perfumes – One of my favorite thing about Etsy is how multi-talented people can bring all their gifts together to offer unique products. Not only are the perfumes from this shop complex and powerful, but the description for each scent is a short story that you can wear with you all day. Feel like a daring explorer? Want to be an elfin librarian? Ready to be the star at Ren Fest? Dab on a bid of this high quality perfume oil and step out to make your own stories. She donated a special seasonal oil: Krampus! Fancy That Design House – For my first daughter’s first birthday I ordered my first print on Etsy from this shop. I have a wishlist which includes practically everything she has ever designed. The typography in these art prints and wall art are just so edgy but were made to become classics. I already have one in mind for Angelina’s room, but I don’t want to get ahead of myself; we may have to wait for Angelina’s first birthday in her first home to make my second purchase from this constant favorite. Graphic Anthology – Go Outside And Play. How many times did you hear that as a kid? How many times have you said that now as a parent? I can’t wait to be able to give Angelina that freedom. Go outside beyond the bars of the small orphanage yard, dig in the dirt without fear that I will yell at the mess, uproot my flowers, help me replant them, make forts, swing on the swing, feel the sun on your hair. Can you imagine spending the first 8 1/2 years of your life without that freedom? Those were my thoughts when I saw the tote bag from Graphic Anthology, an Etsy shop of lovely art prints and totes filled with words to live by. Gutsy Goodness – Right before turning in for the night I spontaneously sent a request to this seller when I saw her necklace “He Restores My Soul” from Psalm 23, the Psalm that sprang to my lips the bleak night we learned of Angelina’s transfer. After I sent my quick note to her, I went to bed but awoke around 2am restless and heart-heavy. I made a cup of tea and flipped open the computer to find her response already waiting in my inbox. In addition to donating the necklace she poured out encouragement and compassion. Truly God used her that very night to restore my soul. I finished my tea and slept peacefully till morning. Thank you. 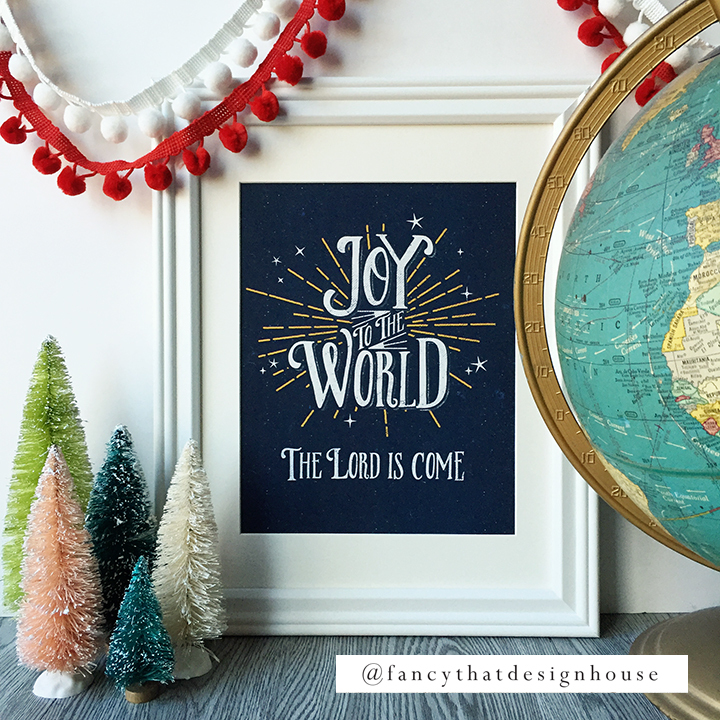 Hymn Art – Melinda Martin threw open the doors to her shop and stunned me with her generosity when she said I could use any of her art for the sole purpose of bringing Angelina home. The Praying Woman is especially near to my heart, it being the cover art for a prayer journal I have been filling for over a year now. So incredibly grateful. J&AWares – This fun shop offers mugs with all the phrases you’ve ever wished a mug would say. The mug they donated for the auction “I’d Rather Be At Hogwarts” has seen its fair share of bidding battling as wishful muggles try to outbid one another. Muggles can be so cute. Nimble NiteCap – Friends who have Seed Acquisition Disorder (SAD) BEWARE, this shop offers an awesome selection of organic veg and flower seeds. More than half of my seeds that went into starting my veg garden a couple years ago came from this very shop. Might I suggest the Florence fennel, black beauty eggplants, white scallop squash, Easter egg radishes, yellow straight neck squash, zinnias, mammoth sunflowers, lemon basil, lemon cukes, marigolds, oh help I’m about to acquire more seeds! The Fickle Felt Tree – Banners, balls of felt, bright happy colors! Oh so many of my favorite things all wrapped up into one shop! Brittany Petersen donated a 5′ long cheerful banner that would be ideal for Dr. Seus Lorax party. It was an instant hit on the auction and has the honor of getting the first bid. The Little Flower Shop Co – I have yet to order something from this shop but my goodness the gift baskets look luxurious and one of these days I will order one and soak in a tub and read a book cover to cover. (Yes, I know I have a toddler and a pre schooler and am in the process of adopting an older child but a girl can dream!) These soaps are cold processed in small batches using traditional techniques handed down for 3 generations. They use only the best essential oils, botanicals, and minerals including organic rosemary leaf, organic lavender flowers, organic cocoa butter, Shea butter and many more. Already jealous of whoever wins this item in the auction. The Nib and Quill – My Praying Woman prayer journal is from this lovely shop. The journal arrives in the mail and oh my goodness, not only is it perfect but the seller includes bit of old dictionary pages and other fun ephemera to get the art journal juices juicing. Even though life is spinning on its head for Kristi, she still is donating a darling leather pocket journal to help bring Angelina home! Thank You! Wild Rose Herbs– This shop offers natural skin care products, bath salts, lip balms and salves but they also fill a niche for beard care and tattoo after care. Their Wild Man line calls to mind the beginning of Kippling’s The Cat Who Walked By Himself in which the man is dreadfully wild but woman does not like the wild ways and creates a dwelling in a dry cave and says “wipe your feet dear” – but she does not shave his beard, she does not try to make the man something less. I imagine that after she has sung the final magic, braided up her hair, and settled the dog, horse, and cow into their lodging, she would consider purchasing Wild Man beard care for her clever man who is cleverer than the cat who walked by himself. After all, she wants him to look his best when he is throwing boots at cats. Quality Montessori – You know what is better than humdrum “educational material” that help “train” kids? Quality Montessori materials that tap into kids natural curiosity. Sarah Brice donated reading blocks which allow phonic practice with all 5 vowel sounds plus 13 different consonants, giving your little reader a total of 80 words to read over and over. All words are in the dictionary, and phonetic! A fun tool to strengthen and improve your child’s self-confidence with reading. Jen KC for donating handmade jewelry, and Courtney Opheim for the three stunning knit shawls she donated out of the blue today! Bidding ends at 10pm central time Sunday, December 6th (in case you were wondering).